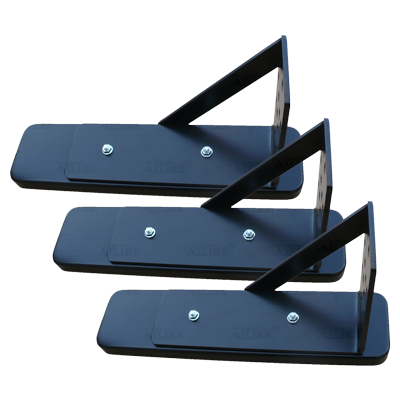 Astrodome Brackets / Floor Stands are some of our top selling products! 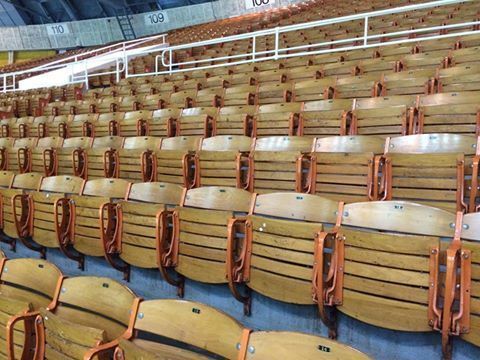 We now have Cole Field House Brackets available for your seats! Wood feet under the brackets are not needed for normal use. 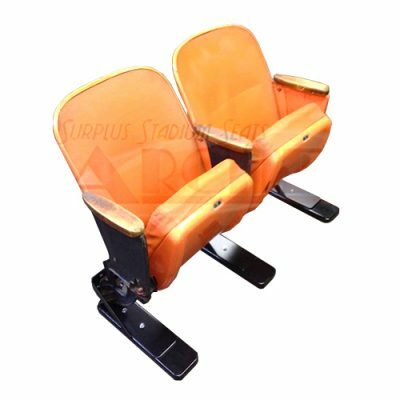 They do make the seats look fancier from an aesthetic point of view and they are a few inches longer in the front which is good for commercial applications or if you might anticipate rowdy sports fans jumping on your seats! 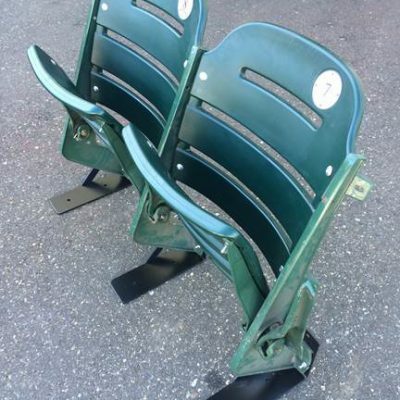 They are great for floor-mount seats! 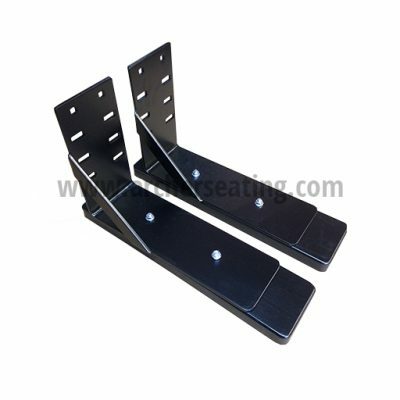 As floor-mount seats are free standing, but aren’t very stable unless bolted to the floor or stabilized using our Wooden Feet. 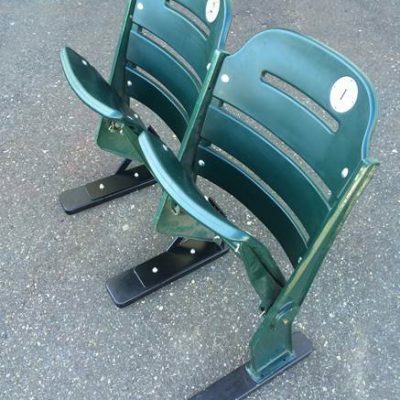 We like using wood feet, as they give the seat stability and mobility, as well as a more balanced and safe look. 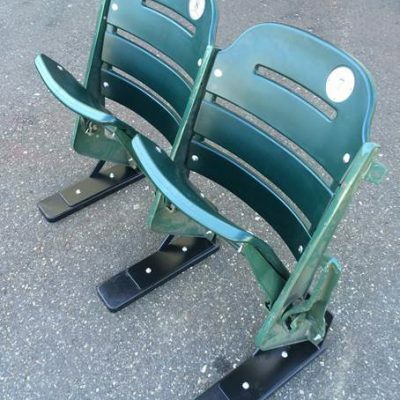 In the 1980s a friend of ours named Mike Seitz invented some feet for stadium seats he sold from Ebbets Field. 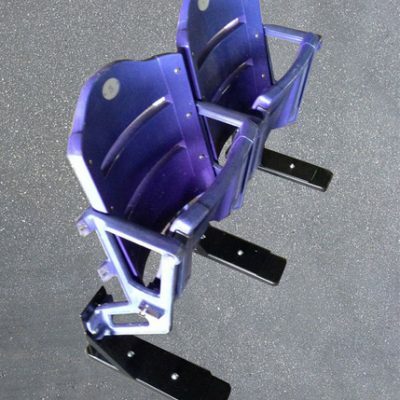 In 1995, Archer Seating started making another version which was improved in the areas of rigidity, the ability for stadiums to use themselves, universal fit to various seats and ability to mass produce in huge quantities. 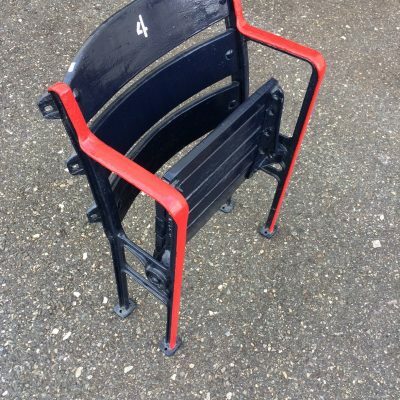 We still make the same type of bracket (stand) to give feet to stadium seats that otherwise would not stand up on the floor. 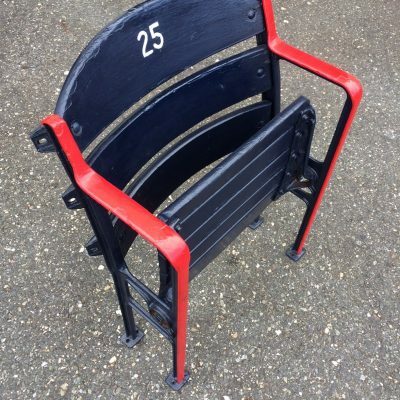 In the meantime, other people have copied our design, and tried to add un-needed “extras” but rest assured when you purchase from Archer Seating you are getting your product from the original supplier. 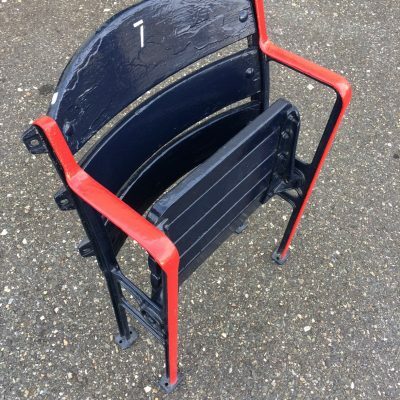 We have feet brackets for seats from every stadium you can imagine. 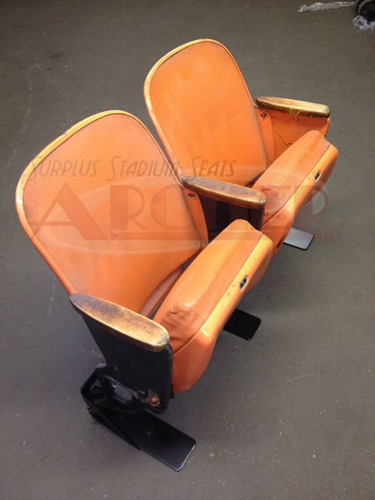 Click here for a list of some of the stadiums we have supplied in the last 20 years! E–Coated, then Powder–coated. Solid construction with no sharp edges. 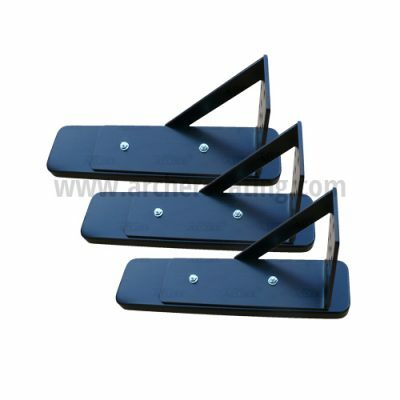 No need to attach to the floor, stands alone, gives your chair full usage. There are 4 basic types, detailed below. Includes all necessary nuts, bolts, and assembly tips (very easy). 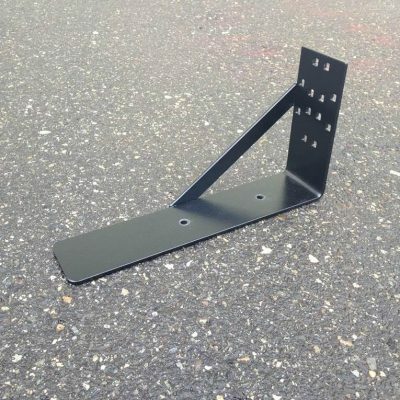 We’ve had the pleasure of working with friends in local businesses over the years by having our Brackets, hardware, and even the boxes they’re shipped in made right here in New Jersey. 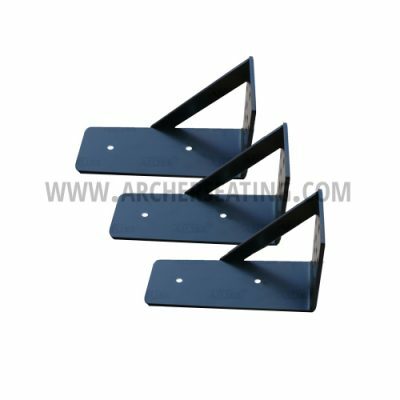 We only offer certain stadiums’ brackets for online order currently. Online ordering generally not feasible due to seat leg variations which we must briefly discuss by phone. 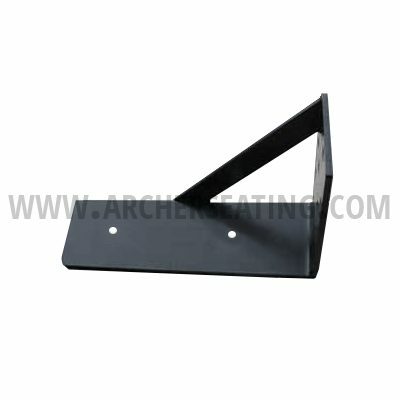 An easy way for us to identify what bracket you need is to just email us a photo showing the leg. See the photos on this page as an example. 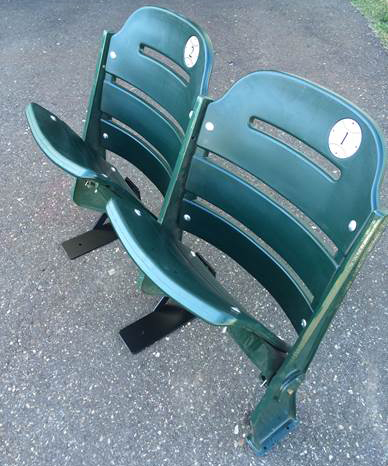 Email us at archerseating@comcast.net. You can also just call us up at 856-692-0242. When you’re ready to order, give us a call or email so we can confirm your bracket needs at 856-692-0242. Make sure your picture shows the necessary details, like the ones on this page. We’ll then be able to call you with the photos of your chair on hand. Most orders can be shipped the day of or the following business day, and generally, take 1-2 days to ship. 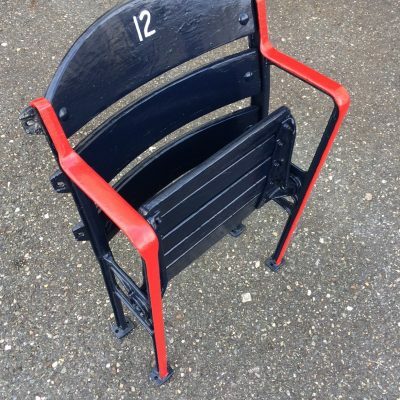 I received the stadium seat brackets, wooden feet, and hardware yesterday. Everything is in great shape and excellent quality. I appreciate the fast shipping too! 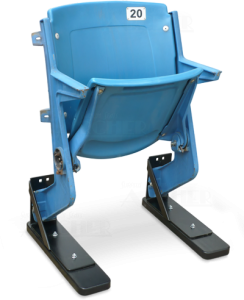 If I know anyone that needs stadium seat feet, I will certainly point them in your direction. 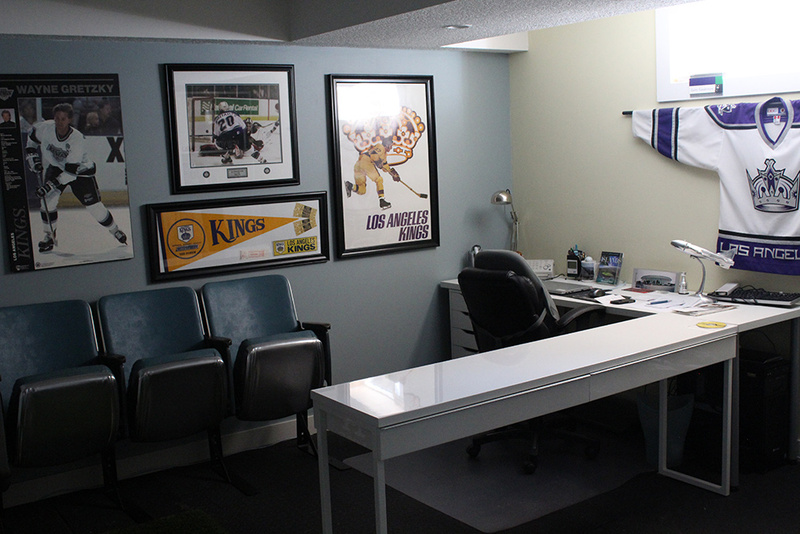 I wanted to pass along a new snapshot of my new home office – LA Kings style – right down to my 3 seats from the LA Sports Arena!! 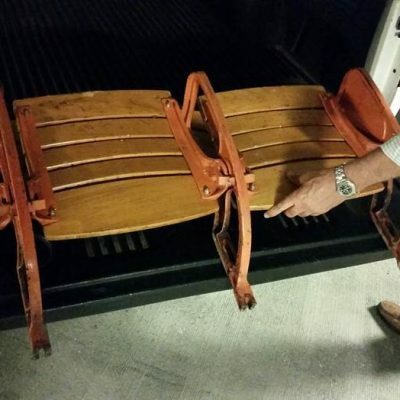 The seat feet you supplied were indeed perfect……just the right size and all of the rights bolts, etc. I’m going to add some collectible signage in the next week or 2 that I also pulled from the arena before they took her down last fall. Feel free to share with your website surfers! 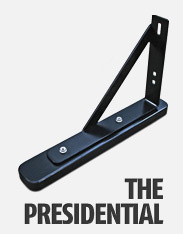 The Presidential is a package deal that includes both the bracket and the black stained wood foot, as well as pre–drilled holes with hardware and optional felt—tips. 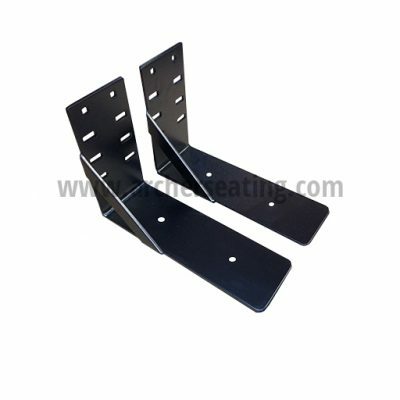 Note: Wood feet under the brackets are not needed for normal use. 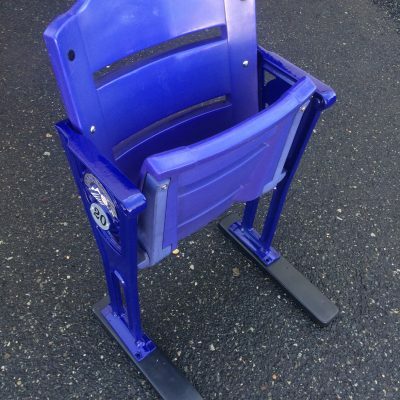 They do make the seats look fancier from an aesthetic point of view and they are a few inches longer in the front which is good for commercial applications or if you might anticipate rowdy sports fans jumping on your seats! 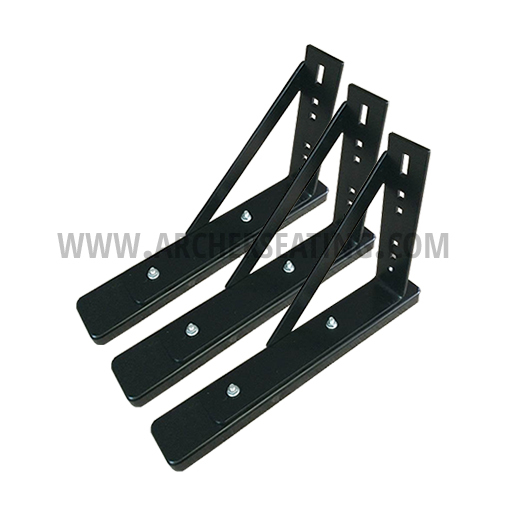 The “V” bracket and others similar in width, can be used with our wide wood feet. 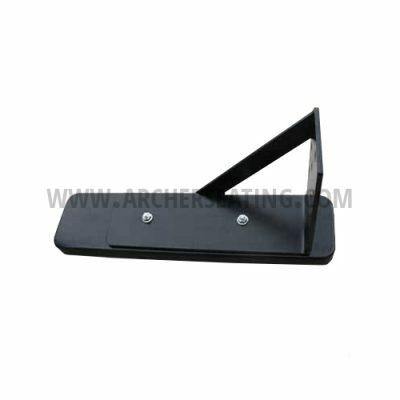 The Emperor is a package deal that includes both the “V” bracket and the black paint wood foot, as well as pre–drilled holes with hardware and optional felt—tips.